Far Eastern University, Manila, Philippines, October 20, 2017— Students at Far Eastern University (FEU) were thrilled that MNL48 road tour finally visits their campus in search for the members of the Philippines’ next idol group last October 19. Hallohallo Entertainment Inc. (HHE) teamed up with FEU Central Student Organization to make this exclusive campus tour possible for Lady Tamaraws to register, audition and have a chance to be part of the biggest idol group in the country, MNL48, the Philippines’ own version of the world-renowned Japanese and highest-selling idol group, AKB48. A great number of FEU students also showed up to support their schoolmates and friends by registering as supporters. MNL48 has a unique supporting system where fans can “Like” unlimited number of aspirants who they think deserves to be on the higher rank. Unlike other competitions, MNL48 doesn’t have a set of panel of judges and results will solely rely on the public’s vote through the MNL48 website and mobile app. MNL48 is set to be aired on ABS-CBN as HHE has partnered with the Kapamilya network for the idol search which will be the first of its kind here in the Philippines. Details of the upcoming show will be announced soon by HHE and ABS-CBN. 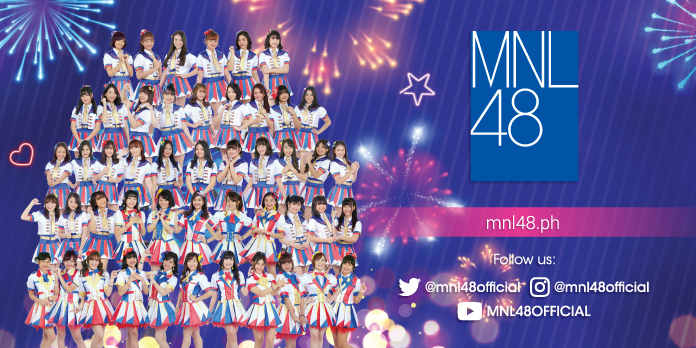 To check the complete list of the MNL48 registration and audition tour dates and get the latest updates of MNL48, visit mnl48.ph or MNL48official on Facebook, Twitter and Instagram.